Westlake’s undefeated 2017 season continued after the Chaparral defense shut down the star-studded Steele rushing attack which lead to a 28-14 win and a Region IV Championship. The Knight offense that averaged 245 yards rushing per game only managed 92 total yards last Saturday night at the Alamodome. While Brenden Brady rushed for 101 yards on 26 carries, the game’s first touchdown was the only time the senior Rice commit found the end zone. Late turnovers in the second quarter allowed for second and third chances for Steele’s offense that saw freshman quarterback Wyatt Begeal tie the game with a four-yard touchdown run. In what has become customary in these 2017 playoffs, the Chaparral offense made a statement in their first drive of the 3rd quarter. While Westlake’s opening drive was capped by Nakia Watson’s second rushing touchdown, it was the start that ignited the offense. After fumbling a punt, the Chaps needed a spark on special teams and that ignition switch was senior, Cary Andreo. The defensive back turned wide receiver, tried his hand at kick-off returns and delivered on a 40-yard return to set up the Westlake offense on a short field. Armed with a 21-14 lead, the Chaps committed their fourth turnover in the fourth quarter when Jaylon Jones recovered a Nakia Watson fumble at the Westlake 44-yard line. The Knights moved nine yards in the first three plays following the fumble and geared up for a fourth down and one-yard play. In an attempt at misdirection, the Knights play call went right, but Begeal pitched left to Brady who couldn’t secure the ball. With the ball loose near midfield, Brady recovered, but on 4th down, the ball went to Westlake. Watson shredded the Steele defense in one play that defined the Region IV Championship. Watson’s 50-yard run may not have been his longest from scrimmage, but it delivered the fatal blow to a Steele team that struggled in the second half. Behind the offensive line, Watson tallied his 11th start this season of 100 rushing yards or more in a game and finished with 189 yards on 27 carries. As champions of Region IV, the Chaparrals will hit the road to face the Champion of Region III, the Cy-Fair Bobcats. The Cypress Fairbanks school district consists of 10 teams and they all play each other in a monstrous 17-6A round robin to earn their playoff spot. Most of the district lost out on their one and only non-district game due to the damage inflicted by Hurricane Harvey, but the Bobcats rolled through 17-6A with superb defense and a strong rushing attack. Saturday’s State Semifinal will mark the second meeting between Westlake and Cy-Fair. That 1998 game saw Westlake cruise to a 41-14 win over the Bobcats. Cy-Fair has only advanced to Texas High School Football’s version of the final four once before. The 1985 Bobcats fell to the Permian Panthers 10-7. This year’s Cy-Fair squad is 13-0 and the Bobcats’ Region Championship win over Langham Creek tied the mark for most wins in a season in program history. A win over Westlake this weekend would take Cy-Fair to its first ever state final appearance. Cy-Fair head coach Ed Pustejovsky will lead his Bobcats into Saturday’s semifinal with 28 playoff games under his belt. In his 14th season at the helm for Cy-Fair, Pustejovsky has amassed a career record of 114 wins and just 54 losses with a 19-9 playoff record. Defensively, Cy-Fair is as legit as they come. The Bobcats are allowing a miniscule 11.5 points per game and just 66 rushing yards per game. That number is even less in their four-game playoff run as Cy-Fair has allowed just 10.5 points per game. Langham Creek and Cy-Woods are the only two teams to score more than 14 points against the Bobcat defense. Like their counterparts, the main Bobcat goals are to make the opposition one dimensional and score off turnovers. Cy-Fair has scored 84 points off turnovers in 2017, making protecting the football a top priority for Westlake following the four turnovers the Chaps surrendered to Steele. In the middle of the defense is linebacker, Patrick Atkinson, who leads the Bobcats in tackles securing 96 in 13 games. Atkinson has been a beast in the backfield as well logging 15.5 tackles for loss to go along with six sacks. Joining him in the linebacking corps is Jace Bobo. He heads up the weak side and is the team’s second leading tackler. In tandem, Bobo, Atkinson, and hybrid linebacker Peyton Lewis have sacked opposing quarterbacks 19 times in 13 games. Erick Hallett can line up as a corner or switch to safety and create issues in the Westlake passing game. Hallett’s five interceptions leads the Bobcat defensive backfield and he’s had a knack for scoring on defense as well. In the Bobcats 41-14 first round win over Westside, Hallett returned a fumble for a score and returned an interception 34 yards for a touchdown. The box score doesn’t tell the true story behind Cy-Fair’s 31-14 win over Langham Creek. For starters, the two teams met in their final district game. At the time, both teams were 8-0 and vying for the district championship. While Cy-Fair defeated Langham Creek 30-21, the region final was close in the fourth quarter. After trailing 14-7 at the half, Langham Creek scored with nine minutes to play in the fourth quarter and trailed Cy-Fair 17-14. The Bobcat defense put Langham Creek on lock down and snagged two fourth quarter touchdowns off defensive stops. Which brings us to the Cy-Fair offense featuring heavily recruited senior running back Trenton Kennedy. His four touchdowns a week ago put away the Lobos for the second time this season and secured Cy-Fair’s 13th win. Successful senior campaign doesn’t quite scratch the surface when it comes to describing Kennedy’s performance. In four playoff games, Kennedy has rushed for 588 yards and nine scores. Like Brenden Brady, the Chaparral defense will once again have their hands full with Kennedy as he’s averaged 147 yards rushing per game in four win-or-go-home scenarios. Kennedy’s 182 yards and four touchdowns against Langham Creek marked a career playoff high for the senior Bobcat. Like Steele, Cy-Fair hasn’t asked much of their senior quarterback. The success up front on the offensive line and the Bobcat rushing attack has allowed Cam Arnold the freedom to control the pace of play. Arnold marches into his sixth playoff start on Saturday completing 66 percent of his passes. The Northwestern State commit has fired 16 touchdown passes to go along with his 1,784 passing yards. If there’s a blemish in Arnold’s playoff performance, it’s the three interceptions in four games. Once again, a Westlake opponent’s quarterback will be the deciding factor in a playoff game. In the 28-14 win over Steele, Westlake held Wyatt Begeal to just 71 yards passing. This week, the Chaparrals face a more seasoned signal caller that will look to keep the football away from Taylor Anderson and Nakia Watson. While dominating on defense in 2017, two telling stats emerge in favor of the Bobcat offense. Cy-Fair’s average time of possession is just north of 26 minutes. Cy-Fair’s third down conversion rate suggests the Bobcats know how to keep the chains moving. Cy-Fair has converted on third down 47 percent of the time. If the game is close at halftime, look for the third quarter to be a crucial ingredient to a Chaparral win. Cy-Fair has yet to allow a point in the third quarter in four playoff wins. Saturday’s game will not be televised live or tape delayed this week. The State Semifinal will be carried live on radio in Austin on AM-1300 The Zone. We’ll also have live audio available on the Westlake Chap App, our broadcast website WestlakeChaps.com, and our Chap Signal inside NRG Stadium. If you wish to see this game live, head to NRG on Saturday. See you in Houston. 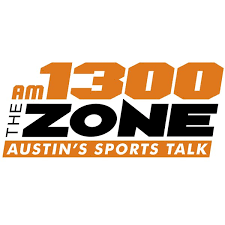 Our tailgate show begins live at 2:30pm on AM-1300 The ZONE. Listen live to No Huddle with Todd Dodge. Make sure you stay tuned to our halftime coverage as we recap the first half highlights. Our halftime features the thoughts of Garrett Aylor, our Chap of the Week. As you leave NRG Stadium, let us join you on The Drive Home as we review the game, run the stats, and hand out our own helmet stickers. Head to the App Store on any Apple or Android device. Listen to live coverage of Westlake Football all year long. Make sure to UPDATE your Chap App as we're rolling out a new and improved app that will feature ALL Westlake Sports Teams. Westlake football is live and at your fingertips with the Westlake Chap App. Go straight to our live streaming broadcast on any desktop or lap top. LISTEN LIVE ON YOUR DESKTOP OR LAPTOP! Follow Westlake Athletics all year long on Facebook, Twitter, and Instagram. Click the links below and like and follow our sites that feature Westlake student-athletes. We hope you enjoyed our television coverage last Saturday evening. The Region IV Final was Westlake Technical Entertainment Crew's first ever live television broadcast. Our sincerest thanks to the TEC student film crew and congratulations to our seniors on 14 amazing broadcasts this season. We've enjoyed our partnership with KBVO-TV and hope we will continue to showcase the best television coverage of high school football in 2018. Our thanks to KXAN Vice President and General Manager Eric Lassberg and Production Manager Korey Wisland for their support. I'd also like to extend my personal gratitude to David Poole, Jeff Strange, Dale Baker, and the entire TEC team. Each week, these Westlake students amazed the most seasoned television professionals. Your effort, positive attitude, talent, and hard work are truly appreciated. The 2017 Westlake Chaparrals rolled into Portland, Texas just outside of Corpus Christi last Friday night and delivered yet another stellar playoff performance as the Chaps defeated the Vela SaberCats 70-14. The Westlake defense allowed seven Vela points while the special teams gave up a 98-yard kick-off return to Brandon Guzman. 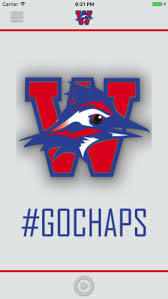 The Chaps allowed 246 yards of total offense to a Vela team that averaged nearly 410 yards per game in their 12 wins. Despite the lone scoring drive in the second quarter, the SaberCat rushing attack was held to just 66 yards, far below their per game average of 191 yards. With a sack of Nathan Garcia in the first half of the Region IV Semifinal, junior David Neil recorded his 12th sack of the season and brought his career total to 16.5. Neil now holds both the single season Westlake sack record and is the current career leader in the category beating out the previous mark of 15 career sacks held by Elias Garcia. Senior Braden Cassity is right behind Garcia with 14 career sacks which puts him third all-time. Both Cassity and Neil have recorded 15 tackles for loss in 2017, a single season Westlake record. As impressive as the defense has been in the run to the Region IV Final, the offense has flourished and improved since the 21-14 win over Lake Travis. The Chaparral offense has scored a minimum of 51 points against the six opponents that have followed Lake Travis. In those six games, three of which have been playoff contests, Westlake has outscored those six foes 353-100. Senior Nakia Watson shined yet again against Vela with 151 yards rushing on 13 carries and two touchdowns. Watson recorded his 10th game with 100 or more yards rushing while junior quarterback Taylor Anderson rushed for 111 yards on just seven carries and recorded two touchdown runs of his own. Through the air, Anderson has become lethal with his accuracy of late. Of his 19 passing attempts, Anderson completed 15 and five of those completions went for scores. Perhaps more importantly, Anderson has embraced the Todd Dodge offensive mantra of “share the wealth” as seven different receivers hauled in those 15 completions. Mason Mangum snagged two touchdown receptions, while Steven Crider, Jake Ramos, and Cary Andreo caught the other three scores. Steele’s history is brief, but successful. Since their launch in 2006, the Knights have waged an all-out crusade and have become one of the top teams in the greater San Antonio area. Steele boasts a 105-15 record that spans eight seasons including 2017’s campaign. The Knights competed in back-to-back state championship games in 2010 and 2011 and took home the 5A Division II crown in 2010 with a win over Guyer. Steele fell to Dekaney in 2011 in the state title game and lost to Desoto in the 2016 championship game. Steele High School opened in 2005 and went 3-7 in its first varsity season in 2006. The Knights have never known a losing season since. In 12 seasons, the Knights are 135-22 and have advanced to at least the state semifinals in six of the past seven seasons. Steele’s four-game losing streak began with a 34-31 loss to Lake Travis, followed by losses to the eventual playoff trio of O’Connor, Smithson Valley, and Judson. Dropping district games at Steele is a lot like Thursday’s snowfall in Austin; it doesn’t happen often. In fact, the two district losses to Smithson Valley and Judson represented the first time that the Knights had lost twice in district play in the same season since 2009. Steele head coach David Saenz looked at Steele’s worst start in school history as an opportunity to reboot the season. Senior Onyx Smith was the top target for Xavier Martin in Steele’s 2016 run to the state title. With recruiting on his mind and some quarterback experience, Smith began the year behind center. After a 1-4 start, Saenz relied on his senior leadership, the infamous Knight rushing attack, and a big offensive line to protect 15-year-old quarterback Wyatt Begeal. The freshman was elevated to the starting position at halftime during Steele’s third district game with New Braunfels. Steele led the Unicorns 6-0 and although Begeal fired only four second half passes, he completed all four tosses including a touchdown pass to senior Caden Sterns. Steele beat New Braunfels 26-3 and the Knights’ first district win became the catalyst for the eight-game win streak headed into Saturday’s region final. With Smith back in familiar territory at wide receiver and steady play by Begeal, the Knights have rolled off eight straight wins. Smith settled in immediately and despite starting six games at quarterback, the senior leads the Knights in receptions and yardage. Armed with 385 yards on 28 catches, Smith is averaging 13.8 yards per reception. Fellow receivers Daniel Jackson and Terrance Ingram all share the team lead in touchdown receptions as the trio has accounted for nine of the 13 touchdown passes. Steele’s run the ball reputation won’t change with Saenz at the helm. Though this is his inaugural season as head coach, he’s been on the Steele staff since 2007. Collectively, the Knights have rushed for over 3,192 yards and 36 scores in 2017. Leading the Steele attack is a man named Brady. Senior running back Brenden Brady’s 1,837 rushing yards account for 58% of Steele’s ground game. The Rice commit has accrued 24 of the team’s 36 touchdown runs making Brady the prime directive for Tony Salazar’s defense. There’s no secret to Steele’s offensive game plan. While running Brady right, left, and up the middle might be an obvious goal, the last eight games have proven that teams have a tougher time finding the weakness in the true armor of the Knight offense, the offensive line. Right tackle Nicholas Holiday, center Stanley Mark, and left guard Charley Zeno all returned from the 2016 state finalist team. No Knight lineman is shorter that six-feet-two inches and no lineman weighs less than 265 pounds. The average weight of this fearsome quintet is approximately 284 pounds. In addition to the explosive run game and the rugged offensive line play, the Steele defense has been a key asset to the eight-game win streak. Since the 35-28 loss to Judson, the Knight defense has held opposing offenses to just 12.9 points per game allowing only one opponent to amass more than 20 points; Weslaco East. Leading the Knights is strong safety and University of Texas commit, Caden Sterns. 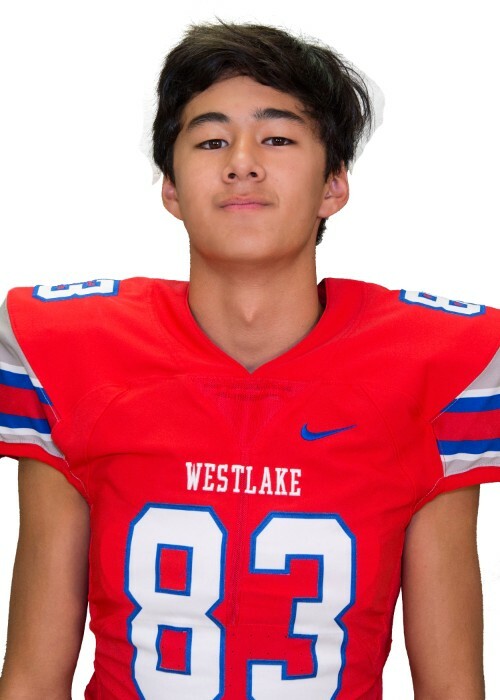 The senior defensive back heads into Saturday night’s region final with 90 total tackles, four interceptions, and two fumble recoveries making him an obvious threat to the Westlake passing attack. Along with the quarterback switch, David Saenz elevated Chance Cromartie to a starting role alongside Stearns. The junior’s 85 total tackles trails only Stearns and senior linebacker Alex Allamby for the team lead. If Stearns is the star knight atop the defensive horse, Allamby is the lance. Despite the four early losses, Allamby has delivered a glittering report card. 142 total tackles, 10 tackles for loss, a pair of interceptions, a fumble recovery, and two caused fumbles are more than enough evidence that Steele means business in their linebacking corps. Allamby’s success has roots and they lie in the brilliant play by senior defensive end, Juan Henry. Assigned to challenge opposing quarterbacks, Henry has 11 tackles for loss in 13 games and leads the team in sacks with seven, hurries with 12, and caused fumbles with three. If there’s a wrinkle in the Knight defense, it’s in the details of defending the run. Strong tackling in the defensive backfield has kept opponents in check, but in Steele’s four losses, the Knights allowed an average of 200 rushing yards per game. In their most lopsided defeat at the hands of Smithson Valley, the Rangers racked up 291 rushing yards. While Steele’s 36-21 win over East in the region semifinal was dominant, the Wildcats still ran for 308 yards on 57 rushing attempts. Westlake and Steele have met on only two occasions and both games went the way of the Knights in non-district match-ups in 2012 and 2013. 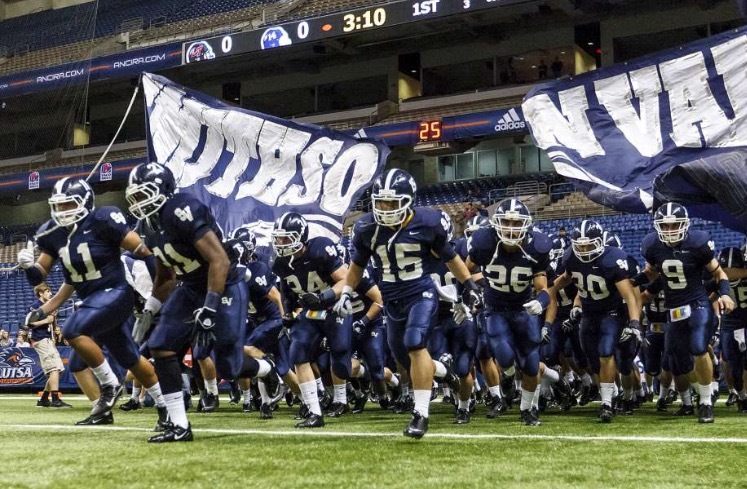 Saturday night at the Alamodome will be the first time these two programs meet in the playoffs. Our tailgate show begins live at 7:30pm on AM-1300 The ZONE. Listen live to Getting Defensive with Tony Salazar. Make sure you stay tuned to our halftime coverage as we recap the first half highlights. Our halftime features the thoughts of Doak Wilson, our Chap of the Week. As you leave The Alamodome, let us join you on The Drive Home as we review the game, run the stats, and hand out our own helmet stickers. 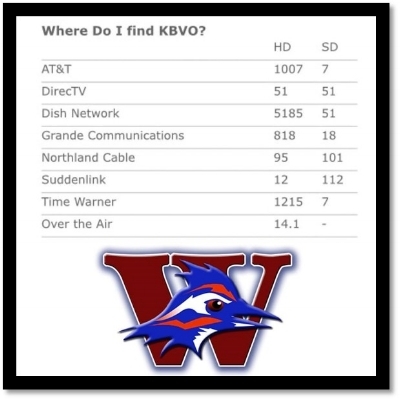 We hope you enjoyed our television coverage last Saturday evening on our new home for Westlake Football, KBVO-TV. Tonight's Region IV Final broadcast will air LIVE on KBVO-TV in Central Texas. So set your reminders and your DVRs for tonight at 8pm. You'll see our weekly broadcast live. Please check your provider for the correct channel. The road to state is never an easy task and the 51-31 victory over Smithson Valley served as a reminder that teams can't be defined by record alone. At 10-1 and a win over Judson, the Rangers showed Westlake that they too had big play capabilities. An explosive run followed by a sensational catch and Westlake saw its first double digit deficit in 2017. The offensive line took center stage against a rugged 4-3 Smithson Valley defense. The goal was to be physical and the quintet of Armstrong, Wilkin, Webster, Sherhart, and Aylor churned out not one but two 100 yard rushers. Nakia Watson's 152 yard performance on 28 carries wore down the Ranger defense in the second half. Taylor Anderson sliced and diced his way to 102 rushing yards while igniting the Westlake passing game. Anderson completed 71 percent of his passes while throwing for three scores and running for another. Watson found the end zone on four occasions, two by land and two by air. While the usual suspects in Taylor Anderson and Nakia Watson took the majority of the headlines, it was junior Penny Baker that proved to be a more than reliable target for the Westlake passing attack. Baker secured eight receptions for 90 yards and a 31 yard touchdown reception. Baker along with Mason Mangum caught 14 of Anderson's 21 pass completions. Despite the explosive plays that lead to the 24 first half points allowed by the Westlake defense, Tony Salazar's squad regrouped in the second half. Smithson Valley completed just one offensive series in the third quarter. The Rangers' second possession carried over into the fourth quarter and the Chaparrals allowed just seven points in the second half. Those adjustments went along with a mind-boggling third down conversion rate. The Chaparral offense converted on 10 of 12 third down opportunities, causing the chains to move 83 percent of the time. The Vela SaberCats are the other 12-0 team in the Region IV semifinals. The young men from Edinburg are led by their first year head coach John Campbell who's orchestrated a high powered offense to go along with a defense that specializes in the turnover. In 12 games, the SaberCat defense has forced 27 turnovers and given Vela a staggering +17 turnover ratio. The Vela defense has scored five times and have taken three punt returns to the end zone in 2017. Daniel Enriquez (#36) is the proud owner of three interception returns for scores and the aforementioned punt returns can also be found in the safety's portfolio. In total, Vela defenders have intercepted opposing quarterbacks 16 times and Daniel Enriquez has acquired nearly half of that lot with seven picks. Offensively, the Vela SaberCats have torched their 2017 opponents. Vela has scored 40 points or more in seven of their 12 wins and go into the Region IV Semifinal averaging just over 45 points per game. However, the playoffs have humbled the powerful SaberCat offense. Vela is averaging just 31 points per game in their two playoff wins, a full 14 points below their regular season average. That said, Vela has already faced adversity in these 2017 playoffs. The Bi-District Championship game featured a knock down drag out affair with Hanna. Despite a 28-14 lead at halftime, Hanna scored 12 unanswered points before the SaberCats added a fourth quarter field goal to lead Hanna 31-26 with eight minutes to play. The Eagles took the next drive downfield and scored the go ahead touchdown with five minutes left in regulation. While their two point conversion try failed, Hanna still had a 32-31 lead. Vela's next possession resulted in a punt and gave Hanna a chance to seal the victory. However, with just over one minute to play, Hanna punted the ball back to Vela. With the wind behind him, Austin Garza took aim from 54 yards away. Garza was the Vela offense in the second half as the SaberCats relied on his six points to edge out Hanna. The momentum carried into the Area Championship with a 28-10 win over Eagle Pass. Sophomore quarterback Nate Garcia is yet another dual threat quarterback who operates at a maturity beyond his age. Of the two captains listed for Vela, Garcia is one of them cementing his leadership role in spite of his graduation year. Garcia has the stats to back up his captaincy. The sophomore has completed 67 percent of his passes while throwing for 2,580 yards, 25 touchdowns, and just five interceptions. Garcia manages a passing attack that features a fellow sophomore and the lone SaberCat wide receiver north of six feet in height. Justin Cantu (#2) leads all Vela receivers with 61 catches for an eye-popping 819 yards and seven touchdowns. Cantu might not be the only threat in the SaberCat offense, but if the Vela offensive line can hold off a quick Westlake defensive front and give Garcia time, he'll find Cantu. On average, the Vela offensive front checks in at 246 pounds per man. Helping out that average are two bookend tackles and both tip the scale at 280 pounds. Jayden Borjas (#77) boasts a six-foot-five-inch frame making him the man to beat especially when the Cats decide to run. As deadly as Vela has been through the air, the SaberCats average right at six yards per rushing attempt and have scored 41 of their 64 touchdowns on the ground. Leading that rushing attack with 18 touchdown runs is Aaron Alvarez. The 190 pound junior battering ram shares the duty with senior Sam Valenzuela, but Alvarez is the main man as he's run for 795 yards on 117 carries. Our tailgate show begins live at 7pm on AM-1300 The ZONE. Listen live to No Huddle with Todd Dodge. Make sure you stay tuned to our halftime coverage as we recap the first half highlights. Our halftime features the thoughts of Luke Armstrong, our Chap of the Week. As you leave Akins Wildcat Stadium, let us join you on The Drive Home as we review the game, run the stats, and hand out our own helmet stickers. We hope you enjoyed our television coverage last Saturday evening on our new home for Westlake Football, KBVO-TV. Tonight's broadcast will air on Saturday, December 2nd at 7pm. Please check your provider for the correct channel. While the goals of perfection in a regular season and an outright district championship were achieved in the 55-14 win over Vista Ridge, the celebration didn’t last too long. The district title had eluded Westlake for six seasons, but the 2017 Chaparrals added a sorely missed piece of hardware to the trophy case and now, the final phase of the season has arrived, the playoffs. While, the Chaparrals enjoyed the win, the team went right back to work on Monday with the mentality that the district championship and a 10-0 record are now the past and the attention is on the present playoff opponent, the MacArthur Brahmas. Now that the playoff scenarios are firm realities, the Westlake Chaparrals welcome the MacArthur Brahmas. MacArthur is led by 7th year head coach Ben Cook. Despite the 25-46 career record, Cook’s teams have made the playoffs three of the last four seasons. Cook has spent nearly his entire coaching career in San Antonio. After a 10-year stint as an assistant at Churchill, Cook joined the staff at Roosevelt for the 2009 season before being named the offensive coordinator at MacArthur in 2010. A season later, then Brahma head coach Van Fuschak left for Antonian Prep and Cook was promoted to his first head coaching job. Outside of MacArthur’s potent offensive attack, the Brahmas’ largest weapon might be team resilience. Through six games, MacArthur had a record of 1-5 and all five losses were to eventual playoff teams. However, a 52-42 win over Madison jumpstarted a four-game winning streak that saw the Brahmas defeat Madison, Roosevelt, Churchill, and Lee consecutively. With a 4-2 record, MacArthur finished third in District 26-6A behind Johnson and Reagan. Senior quarterback Tyler Vitt is at the helm of his team’s success in the last four weeks. Vitt is a true dual threat behind center. As a passer, he’s completed 197 of his 287 throws and 24 of those tosses have gone for touchdowns. As a runner, he leads all Brahmas in yardage with 969 and scoring as he’s found the end zone seven times in 2017. Vitt averages nearly 29 passing attempts per game and like Westlake, MacArthur knows how to spread the wealth. Wide receivers Ethan Gottschalk, Cameron Acker, and Lanir Shabazz all have a minimum of 40 receptions. Gottschalk and Shabazz have combined for 1,309 yards receiving which accounts for 57 percent of Vitt’s 2,289 passing yards. Gottschalk leads the trio in scoring with seven touchdown receptions. The Brahma defense has allowed just over 33 points per game this season and during the four-game winning streak, the defense still allowed an average of 26.5 points per game. In that same stretch, the MacArthur offense scored 44.5 points per game and eclipsed 50 points in back-to-back games in their wins over Madison and Roosevelt. The offense put up a minimum of 31 points in all four wins to close out district play. Despite the yardage and points allowed, the Brahma defense is armed with top-notch defensive players who can take the football away. MacArthur forced 15 turnovers in 10 games. Defensive backs Kahjah Matthews and Giancarlo Martinez secured eight turnovers combined with seven interceptions and a fumble recovery. The strength of the MacArthur defense is up front. The man in the middle of the Brahma defense is Pete Smith. The senior stands at six-feet-two inches and weighs an even 300 pounds and is one of the largest defenders Westlake has seen this season. If there’s a key to Tyler Vitt’s success throwing and running the football, it’s the MacArthur offensive line. The Brahma is an appropriate description when the average man weighs in at 255 pounds. The biggest bull of them all is left tackle Frederick Jones who checks in at six-feet-five inches tall and weighs 298 pounds. The offensive line play is vital to MacArthur’s success, especially in the last four games. The Brahmas are averaging 434.4 yards per game and it’s due in large part to their ability to run the football and keep defenders away from Tyler Vitt. Westlake will once again enjoy the opportunity to host a home playoff game. Tonight, wear red, arrive early, and join the spirit line at 7:10pm. The line will form from the field house to the entrance to Ebbie Neptune Field. The road to the 2017 State Championship starts in Westlake. Our tailgate show begins live at 7pm on AM-1300 The ZONE. Listen live to Getting Defensive with Tony Salazar. Make sure you stay tuned to our halftime coverage as we recap the first half highlights. Our halftime features the thoughts of Owen O'Neill, our Chap of the Week. As you leave Chaparral Stadium, let us join you on The Drive Home as we review the game, run the stats, and hand out our own helmet stickers. We hope you enjoyed our television coverage last Saturday evening on our new home for Westlake Football, KBVO-TV. Tonight's broadcast will air on Saturday, November 18th at 7pm. Please check your provider for the correct channel. The hunt for perfection is never easy, but at Westlake between 1990 and 2002, perfection seemed attainable every year. In 1996, the Westlake Chaparrals delivered on the quintessential perfect season claiming the school’s only state championship in football with a 16-0 record. Tonight, the 2017 Chaparrals have an opportunity to secure the first undefeated regular season since 2000 and capture an outright district championship, a claim that Westlake hasn’t made since 2011. As you may have noticed, the Austin area has grown since the year 2000. Want proof? 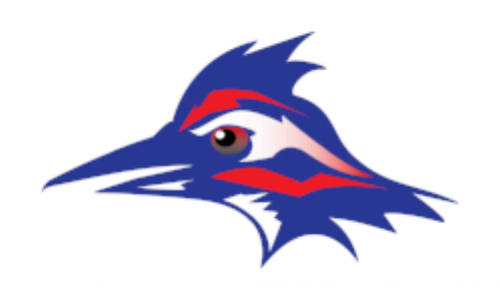 Last week’s opponent, Leander, was a single high school district for 99 years. From 1899-1998, if you lived in what is now the sprawling suburban area of Leander/Cedar Park, you were a Lion. In 1998, Leander ISD opened a second high school in Cedar Park. Nine years later, Leander ISD now has six high schools with three of those schools competing at the 6A classification. Vista Ridge opened in 2003 and in 2008, the school got serious about football and hired Rodney Vincent. The former Austin High head coach was hired at Vista Ridge following three consecutive playoff appearances. Vincent was also the head coach of record during Austin High's infamous two wins over Westlake. How many times has Austin High beat Westlake in football? You guessed it; just twice. Vincent went 1-9 in his first year at Vista Ridge, but the 2010 team roared back with a nine-win season and a playoff berth. The Rangers have made the playoffs in five of the last seven years and in 2015, the Rangers earned their first trip to the 5A State Semi-Final. Vista Ridge finished 2015 with a 12-3 record. Vista Ridge’s first year of 6A football was filled with adversity. An injury ridden season led to a 3-7 record, but the Rangers still earned a bi-district playoff game with San Antonio Churchill. Vista Ridge exploded offensively in the first quarter, scoring 21 points and the Rangers lead the Chargers at the half 31-24. Vista Ridge took Churchill to the limit but fell 41-38 to end their 2016 campaign. For perspective, the Churchill squad that narrowly escaped a first round loss to Vista Ridge managed to advance to the state quarterfinals a year ago. In 2017, Vista Ridge has secured four wins while playing one of the toughest schedules in Central Texas. Their five losses include Dripping Springs, Bowie, Vandegrift, Hays, and Lake Travis. All five are playoff teams. Senior quarterback Jacob Taute has remained healthy this season and at six-feet and four-inches, he looks like a traditional pocket passer, but it’s his running ability that keeps opposing defenses honest. Taute’s 80 carries for 425 yards and four rushing touchdowns accounts for one-third of the impressive Ranger run game. Traditionally, Vista Ridge has enjoyed success in the passing game, but 2017 has seen the Rangers rush for 2,110 yards, 20 touchdowns, and an average of 6.9 yards per carry. Joe Goodwin has supplied the lion share of the carries and leads the team in rushing with 701 yards on 102 carries. The explosive feature of the Ranger running game is Jamil Pittman who is averaging 10 yards per carry. Pittman has less than half the carries as Goodwin, but has scored nine of the 20 rushing touchdowns. Through nine games, Taute has completed just 48 percent of his passes for 1,466 yards. However, the improvement from 2016 to 2017 can be seen in the turnover ratio. Coming into the regular season finale a year ago, the Rangers had turned the ball over 20 times with 15 of those coming via interception. This year, Taute has thrown 13 touchdown passes and just five interceptions. Jamil Pittman is the Rangers’ swiss army knife. As mentioned above, he can line up and run the ball as a traditional running back. Pittman can also split out as a true wide receiver and stretch the field with his speed. He is the team’s leading receiver and heads into his final home game with 30 receptions for 657 yards and five touchdowns. Pittman can even sneak in at the quarterback position and catch opposing defenses off guard. In 2017, Pittman has thrown two passes, completed both, and both for touchdowns. His versatility extends to the defensive side of the ball. On October 6th, Pittman returned an interception 63 yards for a score that sealed the win over Leander. Overall, Pittman has scored 15 times in 2017 and has had a hand in 17 of the Rangers’ 36 touchdowns. Todd Dodge’s message to his team this week is simple. There was a big win in District 25-6A two weeks ago. No, it wasn’t Westlake’s 56-7 win over Lehman. The Hays Rebels’ win over Vista Ridge had huge ramifications for the Chaps’ playoff outlook. Westlake has the third largest enrollment in the district, trailing only Hays and Lake Travis. With the Rebels and Cavaliers in the playoffs, Westlake will be in the Division II bracket. In past years, placement in Division II hasn’t meant much in the overall playoff draw. Storied programs compete in both brackets every year. For example, in 2015, both Katy and Lake Travis played in the 6A-Division II championship game. That year, Westlake took on Galena Park Northshore in the 6A-Division I title game. In 2017, the draw for Westlake could mean the difference between playing at AT&T Stadium in late December and an early round exit. Westlake is worthy of their status among all 6A teams in Texas. 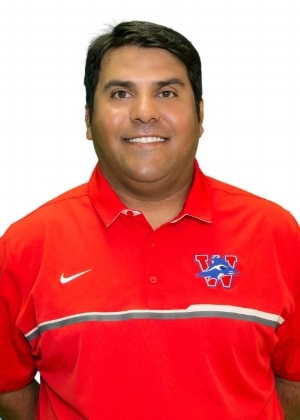 Since Todd Dodge took over the program, Westlake has enjoyed wins over state powers such as Southlake Carroll, Katy, Allen, The Woodlands, Atascocita, Judson, and Lake Travis. Westlake has no fears when it comes to big games, but the Hays win over Vista Ridge gives the playoff landscape some perspective. In round one, the Chaps take on San Antonio MacArthur. The Brahmas have a 4-5 record headed into their final regular season game with San Antonio Lee. Despite their record, MacArthur beat San Antonio Madison by ten and lost to San Antonio Reagan by only three points. Both Madison and Reagan will represent District 26 in the 6A-Division I bracket. Looking at round two, an argument could be made that Westlake’s second playoff game will be the toughest on paper until a potential berth in the state championship game. Assuming Westlake wins in the bi-district round, the Chaps would likely face the winner of San Antonio Brandeis out of District 28 and Smithson Valley out of District 27. After Smithson Valley’s big upset last week over one of the top teams in the state in Converse Judson, the Rangers appear to be the likely round two opponent. Smithson Valley’s only loss of the season came three weeks ago against Schertz Clemens by a score of 16-10. District 27 is currently in a three-way tie for first between Clemens, Smithson Valley, and Converse Judson. All are 8-1 with 5-1 district records.. If Westlake manages to get past the second round, the Chaps will face a team from South Texas. Historically, Westlake has dominated teams from the Valley, even when facing a squad that many consider to be a top-flight team from that area. This year, the best teams in the Valley are going to land in the Division I bracket. Even the best Valley teams in Division II could very well be in the opposite half of the Region IV bracket and not likely to make it to the region final. Projecting ahead to a potential quarterfinals matchup, one of four teams is most likely to come out of the bottom half of the Region IV bracket. Two of those teams meet in round one. San Antonio Johnson, the District 26 champion, will face Vandegrift, the near spoilers of Westlake’s perfect season. The winner of that game will face the winner of San Antonio Brennan and Cibolo Steele. Any of those four teams shouldn’t have any issues in round three. It would certainly be interesting to see a Chaparrals-Vipers rematch in the quarterfinals, and Vandegrift Head Coach Drew Sanders and his team certainly have as good of a chance as any team to get there. If Westlake can get past their state quarterfinal foe, our eyes turn to Region III for a likely semi-final opponent. When you look for the best teams in Region III, most will be in the Division I bracket. Familiar foes Galena Park North Shore, Atascocita, and the Katy Tigers are the top three teams in Region III, and all are in the D-I bracket. Houston Lamar and Fort Bend Ridge Point are in Dave Campbell’s Texas Football Magazine’s top 16, and they are both Division I teams. Going beyond the top 25, one can look at a quality team like Katy Cinco Ranch. Cinco Ranch will also be a D-I playoff team. You now see who Westlake won’t play, so here are some teams that the Chaps could potentially meet up with out of Region III. If you’re not convinced that the Hays win over Vista Ridge was one of the biggest victories for Westlake this season, let the following idea simmer. Excluding Westlake, there are only four teams in Dave Campbell’s Texas Football Magazine’s current top 15 that have secured Division II playoff status and only one other that might see D-II placement. The top two teams in the state (Katy and Allen) are Division I schools. Looking at the four teams ranked sixth through ninth; Judson, Garland Sachse, Duncanville, and Lake Travis are all in Division I. Additionally, every Division II team in Dave Campbell’s top 25 is either in Region I or Region II. That means the Chaps wouldn’t face any of those teams until the state final. However, one could argue that Smithson Valley being left out of the top 25 this week is a little odd after their big win over Judson considering their lone loss is by six to an 8-1 team. So, who are the best teams on the other side of the Division II bracket? Below is a list of the top teams that could very well be on the other side of a run to the state title. Bottom line, the focus this week is on a District 25-6A Championship and an undefeated regular season. The Bi-District Championship is already set and as the top ranked team in all of Division II, the Westlake Chaparrals are in great position to make a run deep into December. "It's a great day to be a Chaparral." Winning football games is hard. So many aspects of the game must fall into place for a team to be successful. Coaches call it the grind. The seemingly non-stop preparation, the weight training, the practice, and the hours spent studying video. The reward? Three hours on Friday nights in the fall. For 64 Westlake seniors, the road from their first fall as freshmen to senior night might be long in calendar days, but in an instant, boys become men. When they started their freshman season, there were 54 young men dreaming of the Friday night experience that many Chaps before them have known. They've watched Friday from the stands, the pit, and from the student section. These seniors have taken the yellow dog bus trips to play on Thursday nights to show their coaches and teammates that they deserve Friday nights. Some became household names and lit up the stat pages with electric runs, mind-boggling receptions, quarterback sacks, and spiraling touchdown passes. Others learned how to play a different role on different days of the week. The Attack Team consists of varsity football players that may not see the field on Friday night, but play a unique role in the overall success the Chaparrals have enjoyed in 2017. Their goal is simple. Make everyone better. A lofty task, but then you meet with an Attack Team player and you know instantly what kind of man they will become. While it earns respect, this strategy is also productive. Ernst is one of the coaching staff's treasured seniors that enjoys the duality of training at his given position at wide receiver and then moving to safety to simulate the opponent's defense. An Attack Team member like Ernst has the mind of a Westlake wide receiver. So, what better way to train your starters than with defenders who know exactly what their teammates will do before the play begins. Mutual respect from teammate to teammate is visible when these Attack Team members get time on the field. In the 56-7 win over Lehman, those moments came in the second half. The starters had put the game out of reach, but they weren't sitting on the bench. They were on the edge of the sideline cheering their teammates on in a game that was decided by halftime. For reference, I submit the stat of two catches for 12 yards. On most Westlake offensive drives, one player could amass that in one or two plays. For Matthew Watanabe and Ryan Talbert, those catches ignited a sideline. Watanabe finished the win over of Lehman with one catch for seven yards, while Talbert snagged his one reception for five yards. Those two catches were a first for both players. Those catches were met with genuine excitement and overall pride as their teammates erupted with vocal applause as if both had scored game winning touchdowns. The balance of rigorous school responsibilities and the grind that is the football schedule accelerates the work life balance experience. Managing time is something that even the best of us struggle with. For these seniors, it's a way of life that will only benefit them in the future. This class has been present for some memorable moments in Westlake football history. Exciting playoff wins, devastating losses, and a win over Lake Travis are hallmark memories, but just ask one senior what they'll miss, and the answer is always unanimous. They'll miss each other. Our tailgate show begins live at 7pm on AM-1300 The ZONE. Listen live to "No Huddle" with Todd Dodge. Make sure you stay tuned to our halftime coverage as we recap the first half highlights. Our halftime features the thoughts of Wilson Ernst, our Chap of the Week. As you leave Chaparral Stadium, let us join you on The Drive Home as we review the game, run the stats, and hand out our own helmet stickers. Head to the App Store on any Apple device. The Westlake Chap App can be downloaded on any iPhone, iPad, iPad Mini, iPad Pro and iPod Touch. Listen to live coverage of Westlake Football all year long. Make sure to UPDATE your Chap App as we're rolling out a new and improved app that will feature ALL Westlake Sports Teams. Westlake football is live and at your fingertips with the Westlake Chap App. For Android users, the new version of the Westlake Chap App is LIVE on the Google Play Store. This new app has the exact same features as the Apple version. So, enjoy Westlake athletics from any Android powered device. We will provide an in-stadium FM frequency for fans that bring their FM radios with them to Chaparral Stadium. Get behind the scenes action live on the Chap Signal. We will update our audience via our social media sites with the frequency. Bring your radio and hear the Chap Signal. We hope you enjoyed our television coverage last Saturday evening on our new home for Westlake Football, KBVO-TV. Tonight's broadcast will air on Saturday, November 4th at 7pm. Please check your provider for the correct channel. The game will also stream live at 7pm so if you wish to watch live from any device, you can. The link below will lead you to the game. Note the stream will not begin until 7pm on Saturday evening. Please share the link to as many fans as possible. There are high school football games and then there's the game played on October 13, 2017 at Chaparral Stadium. This year's annual rivalry delivered on the hype. Multiple turnovers, explosive plays, and in the end, the 2017 Westlake Football ended the nine year, 10 game streak with a 21-14 win over Lake Travis. Tony Salazar's defense allowed 14 points in the first half, but the Cavaliers never saw the end zone in the second half. Armed with an offense that averaged over 500 yards of total offense per game, the Westlake defense minimized Lake Travis' explosiveness allowing just 242 yards of total offense and kept the scoreboard blank in the second half. Fittingly, the game came down to a defensive play. After Nakia Watson's one yard touchdown run with 3:37 remaining in regulation, Matthew Baldwin took his offense down field. On fourth down, Lake Travis needed the Westlake 16 yard line to move the chains and continue their quest to tie the game. A quick pass to Garrett Wilson was the call and Keaton Jones closed, wrapped up Wilson's feet, and the ball was placed between the 17 and 16 yard lines. Upon the measurement, the Cavaliers were short. Westlake ball with 47 seconds left meant the two losses in 2016 were avenged and the 10 game losing streak was over. "We have two team goals before the year starts," Todd Dodge said. "One, is to win a district championship and the other is to be practicing on Thanksgiving. Right now, both those goals are achievable." While Westlake cruises into the first of three final regular season games at 7-0, Lehman is on the other end of the 25-6A spectrum. The Lobos are 1-7 under first year head coach Josh Kirkland. With Todd Raymond taking over the athletic director duties for Pflugerville ISD Athletics, the district looked west to El Paso. Their search turned up a first year head coach whose team went 8-4 in his debut season. Kirkland had taken over Parkland High School and the Matadors were fresh off a playoff win and an Area Championship appearance when he got the call from Kyle. Kirkland accepted and now, he embarks on the difficult task of creating success at Lehman. While the first year has been difficult, Kirkland and his staff have made some tough choices. Among them is switching out quarterbacks and sending starter Daniel O'Neal to wide receiver and handing the offense over to freshman, Bryant Lewis. In his short term as a starter, Lewis offers a unique threat to the Lobo rushing attack. The young quarterback has yet to throw a touchdown pass, but his feet work just fine. Lewis has rushed for 405 yards, two scores, and manages just over five yards per rushing attempt. He began the season as a wide receiver and caught the game winning touchdown reception in overtime to beat Akins. Joining Lewis in the backfield is senior running back Kaleb Priestly. A speed threat at just five-foot-six-inches and 150 pounds, both Priestly and Lewis pose the biggest threat offensively. Defensively has been the issue for Josh Kirkland. While Lehman has some spark offensively with their young talent, it's the defense that opponents have feasted on in eight games. Lehman opponents enjoy a first quarter point differential of 137 in first quarter play. Opponents have scored 106 more points than the Lobos in the second quarter. With more than capable teams, first half play can get messy. "At some point, as a head coach, you have to make a decision to play your young talent," Dodge said. It appears that Kirkland has made that abundantly clear as Lehman features three sophomores starting at linebacker to go along with the three sophomores on the offensive line. "Lehman has our respect," Defensive Coordinator Tony Salazar said. "Coach Kirkland is trying to build something and he's figuring out where guys can go and how they fit. More importantly, he's giving them a chance to get some much needed experience." 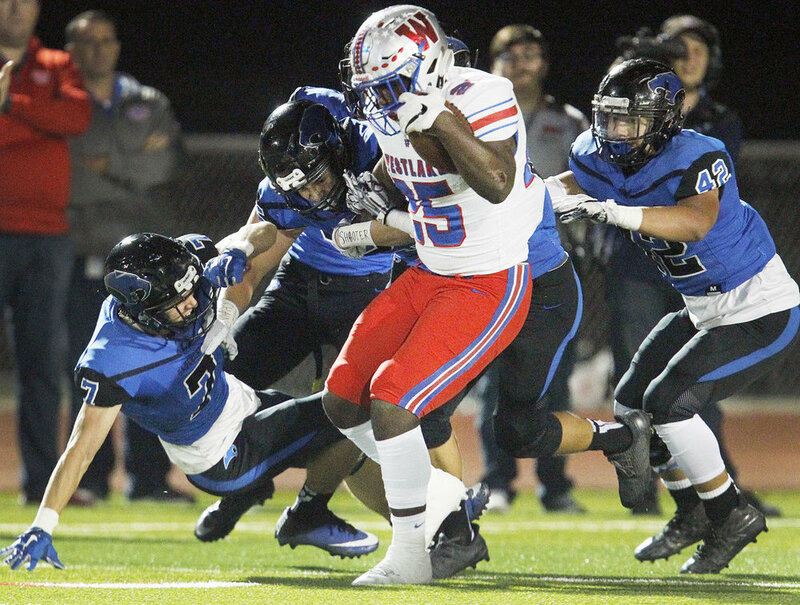 For Westlake, a win over Lehman secures a playoff appearance, but Westlake fans will be paying close attention to a pivotal district match-up in where the outcome could affect which division the Chaps will call home in the upcoming 6A playoffs. Hays and Vista Ridge will fight for their playoff lives tonight. If Hays wins, the Rebels have the inside track on the second seed in the 6A-Division I bracket behind Lake Travis. This scenario sends Westlake to the top seed in the 6A-Division II tournament. Should Vista Ridge bounce back from the Vandegrift shut-out to defeat Hays, the Rangers keep their playoff hopes alive and put both Westlake and Lake Travis into the Division I pool. Our tailgate show begins live at 7pm on AM-1300 The ZONE. Listen live to "Getting Defensive" with Tony Salazar. Make sure you stay tuned to our halftime coverage as we recap the first half highlights. Our halftime features the thoughts of Nakia Watson, our Chap of the Week. As you leave Bob Shelton Stadium, let us join you on The Drive Home as we review the game, run the stats, and hand out our own helmet stickers. We will provide an in-stadium FM frequency for fans that bring their FM radios with them to Bob Shelton Stadium. Get behind the scenes action live on the Chap Signal. We will update our audience via our social media sites with the frequency. Bring your radio and hear the Chap Signal. We hope you enjoyed our television coverage last Saturday evening on our new home for Westlake Football, KBVO-TV. Tonight's broadcast will air on Saturday, October 28th at 7pm. Please check your provider for the correct channel. The game will also stream live at 7pm so if you wish to watch live from any device, you can. The link below will lead you to the game. Note the stream will not begin until 7pm on Saturday evening. Please share the link to as many fans as possible. Like most rivalry games, the date is always circled on our calendars. You may not know which team plays week to week, but you certainly know when Westlake plays Lake Travis. This year, it’s Friday, October 13, 2017. This edition will mark the 12th time these two programs have faced off in the regular season. In their 11 regular season meetings, Lake Travis has won 9 straight and the Cavs made it 10 consecutive wins thanks to a 51-3 playoff win in the 6A Region IV final a year ago. That said, the streak may last from year-to-year, but the teams are always different. As we preview this year’s Battle of the Lakes, know that both teams have a common opponent in the Hays Rebels, a team that might be the best one-win team in Central Texas. The six opponents the Rebels faced this season now have a combined record of 27 wins to just seven losses. The Rebels established their backfield talent early. Ty Mayberry rushed for 100 yards against Lake Travis in one half of football two weeks ago, while the combination of both Mayberry and Cade Powell hurt Westlake in the passing game. Hays kept the game within reach with both the Cavs and the Chaps trailing Lake Travis by as few as five points in the fourth quarter and outscoring Westlake 14-7 in the final frame. A timely touchdown pass from Taylor Anderson to Nakia Watson sealed the 10-point win. The Westlake defense only allowed 93 Rebel rushing yards, but Mayberry and Powell proved to be a deadly combination as pass catchers out of the backfield. They combined for 99 receiving yards and a score. Xavier Martinez fired three touchdown passes and racked up 265 yards passing, but the Chaps limited multiple explosive plays. Dodge is referring to the 246 yards gained on the ground against the Rebel defense. Nakia Watson acquired 30 of the team’s 44 carries and earned every inch of his 158 yards and two scores. Watson can credit his two rushing scores to the passing game that set up both short yardage touchdown runs. While Jake Ramos flourished in his return to the starting line-up against Vandegrift, it was sophomore Mason Mangum who showcased his pass catching ability during the 34-24 win over Hays. Mangum hauled in nine catches for 119 yards and a touchdown all while having issues keeping his helmet about him. Lake Travis enjoyed a bye week to gear up for the Battle of the Lakes and with four straight wins prior to their open date, they look as good as ever in the passing game. The football field isn’t the only place Chaparral fans will see Garrett Wilson. The silky smooth junior receiver is quite the basketball player, but his seven catches for 225 yards and four touchdown receptions against Hays turned heads. Wilson and newcomer Hudson Card have emerged as impressive threats for the high-powered Cavalier offense. The two have combined for 65 receptions, 1,314 yards, and 13 scores through just five games. Matthew Baldwin has waited patiently in Charlie Brewer’s shadow and now, he has the keys to the red and black sports car every high school senior wants. Although the Cavalier quarterback shoes run big, Baldwin has the makings of yet another successful Lake Travis signal caller. The Colorado State commit is six-foot three inches tall and weighs 195 pounds and resembles more of a pro-style drop back passer. McElroy backed up Southlake Carroll’s Chase Daniel his sophomore and junior seasons under Dodge. In his one year as a starter, the former Alabama quarterback guided the 2005 Dragons to a 16-0 record while he threw for 4,636 yards, 56 touchdowns, and helped Carroll secure the 5A State Title. Baldwin has that similar task in where he wants that same type of hardware he received in 2016, but as the starting quarterback. While the offense gets majority credit in Lake Travis’ dominance in their back-to-back trips to the state championship game in 2015 and 2016, it was their defense that was unprecedented; especially in 2016. Following the playoff win over Westlake, the Cavalier defense allowed a total of 174 points in 14 games. In 2017, the numbers tell a different story. After surrendering 65 points to Judson in their only loss, the Cavaliers allowed 31 points to Steele, 45 points to Jesuit, and 34 to Hays. In five games, Lake Travis has allowed 175 total points. Lake Travis bounced back after allowing 759 total yards and 65 points to Judson with an epic win over Steele that saw senior Cameron Dicker drill a 37-yard field goal in the closing seconds. The offense rolled out 65 points against Jesuit, shut out Hendrickson 48-0, and put up 60 on Hays. All the wins and points aside, Lake Travis must contain the Westlake rushing attack if they want to keep the streak alive. The Cavaliers are giving up 268.2 rushing yards per game and that plays into the read option game with Taylor Anderson and Nakia Watson. One match-up to look for is Westlake’s pressure opportunities on defense. In the past, Lake Travis quarterbacks have been more mobile. Matthew Baldwin is a true drop back passer. He makes quick decisions and is accurate with his passes. This will be the fastest defensive front Baldwin has faced and the 2017 Chaparral Defense come armed with 14 sacks and a tendency to put opposing quarterbacks in difficult situations. Finally, the streak is a number and like other stats, they don’t carry over. While being aware of that stat is acceptable, it doesn’t lead to wins or losses in the moment. It’s just a number. Our tailgate show begins live at 7pm on AM-1300 The ZONE. Listen live to No Huddle with Todd Dodge. Make sure you stay tuned to our halftime coverage as we recap the first half highlights. Our halftime features the thoughts of Reed Dickerson, our Chap of the Week. As you leave Chaparral Stadium, let us join you on The Drive Home as we review the game, run the stats, and hand out our own helmet stickers. We hope you enjoyed our television coverage last Saturday evening on our new home for Westlake Football, KBVO-TV. Tonight's broadcast will air on Saturday, October 14th at 7pm. Please check your provider for the correct channel. The game will also stream live at 7pm so if you wish to watch live from any device, you can. The link below will lead you to the game. Note the stream will not begin until 7pm on Saturday evening. Please share the link to as many fans as possible. Fourth quarter, 37 seconds remained, and the 2017 Westlake Chaparrals were facing a 31-30 deficit that seemed insurmountable. The kick-off return left the Chaparral offense with only 30 seconds to run an accelerated version of the two-minute drill. On third down, Taylor Anderson flipped a screen pass to Nakia Watson who had significant running room. Watson followed blockers to the Vandegrift 23-yard line before he was tackled. Todd Dodge called an emphatic time-out as he raced downfield as if former Texas Longhorn head coach Fred Akers had hacked Dodge’s headset and called a 1984 quarterback draw. Dodge checked his inventory; six seconds, one time-out, and a junior kicker that had already made three field goals that evening. As the field goal unit trotted on the field, the collective crowd rose to the occasion. A miss would mean Vandegrift could solidify their arrival as a legitimate 6A program and a 1-0 record in district play. A make would serve as one of the very few games in Westlake football history that featured a come from behind win in the final drive. John Oehrline delivered the ball to Steven Crider as calmly as he’d done 36 times before this snap. Crider put down the 37th snap of the trio’s season. The ball was 40 yards away as Gabo Lozano added to Oehrline’s snap and Crider’s hold. Ballgame. Westlake had won. What you may not know is that this wasn’t the first time Lozano’s teammates were happy he made a 40-yard field goal. It seems the Westlake coaching staff will find ways to simulate pressure situations in practice. Thankfully, the Westlake Nation enjoyed a district opening win against a Vandegrift team that will be a tough out in District 25-6A play. In four games, the Westlake defense had allowed just 31 total points and 28 of those 31 occurred during game one at College Station. The Vipers scored their 31st point against the Chaps with 37 seconds left in regulation. On the flip side, a normally dominant offensive line struggled against Vandegrift’s talented defensive front and the Chaparral run game suffered. The bulk of Nakia Watson’s 110 yards rushing came on a 76-yard touchdown run in the fourth quarter. The run game struggles allowed the passing game to emerge and Taylor Anderson delivered. The junior quarterback completed 17 of 29 passing attempts for 292 yards and two touchdown passes. Jake Ramos returned to the starting line up with authority, catching seven of Anderson’s passes for 96 yards and the game’s first score. The final drive featured creativity in the form of a screen pass to Watson and Dodge allowed his offensive linemen to be athletic and get downfield in a hurry to spring an explosive play. The goal was the 23-yard line and Nakia’s run after the catch ended at the Viper 23. The calm before the Battle of the Lakes is a trip down I-35 to Bob Shelton Stadium to take on a Hays team that challenged Lake Travis a week ago before succumbing to the Cavalier offense in the fourth quarter. The Rebels made every effort to put 25-6A on notice that they were not the pushover they were a year ago. Despite the 1-4 record, Hays managed to make the Cavalier faithful remain in their seats a bit longer than planned last Friday night. Lake Travis held a 29-21 lead at the half and an 11-point lead headed into the fourth quarter before the defending state champs outscored Hays 21-6. Hays delivered haymakers following Lake Travis’ first two touchdowns coming right back and answering Cavalier scores with two of their own. Running back Thailand Mayberry capped Hays’ first scoring drive with a 10-yard touchdown run. The Rebel quarterback Xavier Martinez followed with a nine-yard pass to Bayler Jordan to tie the game at 14. Mayberry gained 100 of his 126 yards rushing in the first half and turned in two rushing touchdowns to keep the Cavs within the Rebels’ reach. The Hays front five features three returning starters from 2016 in Phil McSorely, Ben Hoskins, and Lyndon Wilson. Collectively, the Hays line averages six-feet-two and 246 pounds. Mayberry has enjoyed the space. The junior running back has rushed for 434 yards on 86 carries and Mayberry’s found the end-zone five times with two scores coming against Lake Travis. In 2016, Hays struggled to find a quarterback and the Rebels were forced to use multiple signal callers prior to their trip to Westlake. Xavier Martinez has delivered consistency at the position for Neal LaHue’s unconventional offense. Despite the four interceptions, Martinez has completed 70 percent of his throws for 902 yards and six touchdown passes. Defensively, the Rebels return all three defensive line starters. Justin Rodriguez, Ryan Leal, and Zane Kuykendall have made the opposition earn their wins. The trio have combined for 69 total tackles, five tackles for loss, and three sacks. As a team, the Rebel defense have amassed 24 tackles behind the line of scrimmage and sacked opposing quarterbacks eight times and two of those sacks came last week against Lake Travis. The weakness in Hays’ game lies in the turnover numbers. The Rebels have only managed three takeaways in five games and if they want to stay with Westlake, Hays will have to force that issue and take chances against the Chaparral passing game. The Rebels ran 84 plays a week ago and picked up 21 first downs so don’t expect a welcome mat at the gates of Bob Shelton Stadium. Our tailgate show begins live at 7pm on AM-1300 The ZONE. Listen live to No Huddle with Todd Dodge. Make sure you stay tuned to our halftime coverage as we recap the first half highlights. Our halftime features the thoughts of Jake Ramos, our Chap of the Week. As you leave Bob Shelton Stadium, let us join you on The Drive Home as we review the game, run the stats, and hand out our own helmet stickers. We will provide an in-stadium FM frequency for fans that bring their FM radios with them Bob Shelton Stadium. Get behind the scenes action live on the Chap Signal. We will update our audience via our social media sites with the frequency. Bring your radio and hear the Chap Signal. We hope you enjoyed our television coverage last Saturday evening on our new home for Westlake Football, KBVO-TV. Tonight's broadcast will air on Saturday, October 6th at 7pm. Please check your provider for the correct channel. The game will also stream live at 7pm so if you wish to watch live from any device, you can. The link below will lead you to the game. Note the stream will not begin until 7pm on Saturday evening. Please share the link to as many fans as possible. Chaparral Stadium was alive with a playoff buzz last Friday night as the crowd awaited the long-time rivalry match up with Bowie. Both the birds and the dogs touted undefeated records and talent in spades at all positions. The dominance started almost immediately as senior Thomas Rousseau picked off Trinidad Sanders' pass on the second play from scrimmage. The first of four interceptions gave the Westlake offense strong field position, but a double ejection gave way to an immediate opportunity for both Bowie corner Audric Santiago and Chaparral wide receiver Michael Granson. Todd Dodge's play calling did not waiver given the unanticipated personnel change and Taylor Anderson found Granson in the corner of the end zone to cap the game's first touchdown drive. Jackson Lord would give Bowie brief hope with a 94 yard kick-off return for a touchdown to tie the game, but Westlake answered with Taylor Anderson running for his first of two rushing touchdowns in a game that saw the red-headed quarterback throw for three touchdowns. The homecoming victory marked the second time in 2017 that both Nakia Watson and Anderson rushed for over 100 yards respectively as the Chaparrals plowed through Bowie's defense for 292 total rushing yards. While 49 points went on the scoreboard, the Chaparral defense deserved top billing. Halftime saw a 21-7 Westlake lead, but the 14 point difference was a tad misleading. Bowie did not pick up a first down on offense without the aid of a Westlake penalty. As the Westlake Marching Band prepped for the homecoming show, Bowie had only gained 29 rushing yards and Sanders hadn't completed a pass in eight attempts. The Bulldog offense was stifled in the second half even with Matthew Wheeler subbing in for Sanders. Wheeler connected on a few big pass plays, but 157 yards of total offense is all Bowie could muster with the dagger coming by way of Drew Webster's pick six. Despite the many defensive numbers that proved Westlake's dominance, 0-7 on third down stands out as the stat of the game. The Chaparral defense did not allow Bowie a third down conversion in their homecoming win last week. Vandegrift poses yet another unique challenge for the Westlake defense. Despite the 2-2 record, Drew Sanders' Vipers have rolled in back-to-back wins against Killeen and a highly athletic Harker Heights squad. 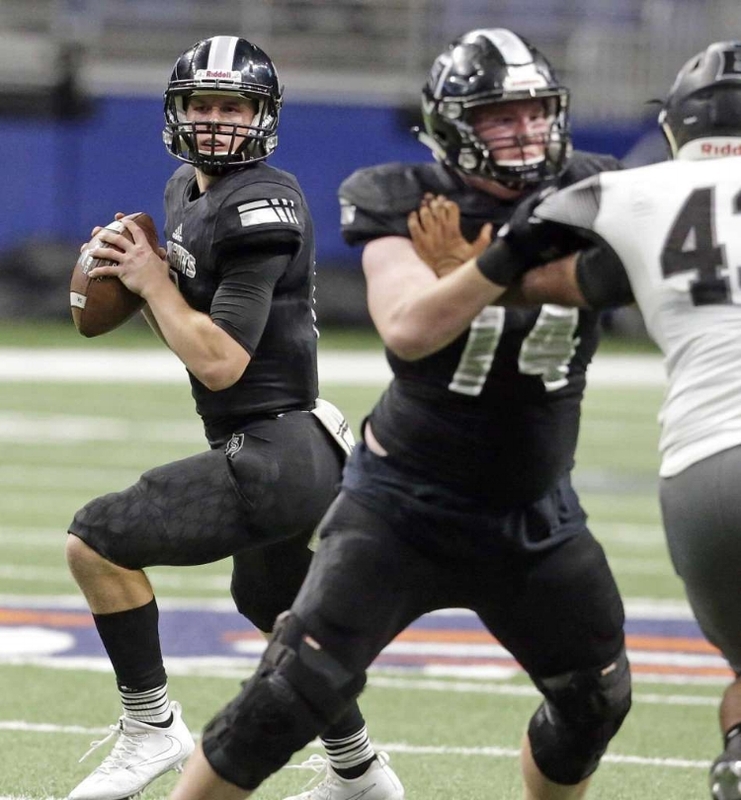 With only one returning offensive lineman from the 2016 team, Vandegrift has been on the search for cohesiveness while battling the bumps and bruises that come with playing high profile programs like Odessa Permian and Cedar Park. "We're a work in progress," Viper head coach Drew Sanders said. "We've got guys that really want to be great up front and they're getting better with every week. We've shaken things up a bit and we're starting to see results." Those results come in the form of the Vandegrift passing attack lead by senior quarterback Justin Moore. In the last two wins, Moore has thrown for 496 yards and found Viper receivers six times for scores. Speaking of receivers, Vandegrift has quite the cast. The average height of a Viper receiver is six-foot-two and the core of the receiver room is senior Peyton Ausley. With four of the 10 touchdown catches, Ausley leads the talented group with 28 receptions and an astonishing 388 yards in just four games. When defenders zero in on Ausley, Moore turns to Justin Florence and his 23 receptions and three touchdown grabs. Reese Watson is a notable weapon as well. Look for the junior wide receiver to cause issues underneath to make plays in open space. That kind of athleticism and his baseball mind favors a short memory when it comes to failure on the football field. Baseball is a game of failure and that allows Moore to work from offensive series to offensive series like how he would approach at-bats in a baseball game. Defensively, Drew Sanders speaks with the tone of a proud papa. "They're a special group of players," Sanders said. "We have so many guys that are just good high school football players. They may not be the biggest, the strongest, or the fastest, but they're smart and it makes us very tough mentally." Todd Dodge echoed those sentiments especially with three year starter at safety, Cole Walther. "You can see immediately how crucial a player like Cole is to why they're successful on defense," Dodge said. "You look at Cole and I see guys like Matthew Sams and Barrett Chambers who've been leaders for us. Cole is that guy for Vandegrift." Two aspects you'll notice immediately about the Viper defensive front, their names and their speed. Osorachukwu Ifesinachukwu and Varun Kalyanapuram might be a mouthful for yours truly, but these two might make you pay attention to pronunciations. Ifesinachukwu has tallied seven tackles for loss to go along with seven sacks in four games. While the obvious attention will be on the Westlake rushing attack, pressuring Taylor Anderson will be the responsibility of both Ifesinachukwu and Myles Hammon. Together, the defensive ends have racked up 81 tackles. A punt block was the difference in last year's inaugural game between Westlake and Vandegrift. The Vipers were 1-3 a year ago and Westlake had come off a big win over Bowie. "You have to give kids a history lesson so they understand who our opponents are," Dodge said. "We have great respect for Vandegrift because they're very similar to us. They have great community support, like us. They've known success, so they have our full attention." Although varsity football began in 2010, Vandegrift enjoyed playoff berths in 2011, 2013, 2014, 2015, and 2016. From 2013 through last Friday, the Vipers have won 40 games and they'll look for the first district test against the fifth ranked Chaparrals. Our tailgate show begins live at 7pm on AM-1300 The ZONE. Listen live to No Huddle with Todd Dodge. Make sure you stay tuned to our halftime coverage as we recap the first half highlights. Our halftime features the thoughts of Keaton Jones, our Chap of the Week. As you leave Chaparral Stadium, let us join you on The Drive Home as we review the game, run the stats, and hand out our own helmet stickers. For Android listeners, the new version of the Westlake Chap App hit the Google Play Store very soon. This new app will mirror the Apple version and will have the same features so you can enjoy Westlake athletics from any Android powered device. We will provide an in-stadium FM frequency for fans that bring their FM radios with them Chaparral Stadium. Get behind the scenes action live on the Chap Signal. We will update our audience via our social media sites with the frequency. Bring your radio and hear the Chap Signal. We hope you enjoyed our television coverage last Saturday evening on our new home for Westlake Football, KBVO-TV. Tonight's broadcast will air on Saturday, September 30th at 7pm. Please check your provider for the correct channel. The game will also stream live at 7pm so if you wish to watch live from any device, you can. The link below will lead you to the game. Note the stream will not begin until 7pm on Saturday evening. Please share the link to as many fans as possible. Following the 52-3 dismantling of the Pflugerville Panthers, one would think that scoring 118 points in two games wouldn't yield much work in the improvement category. While the run game was once again in high gear, the passing attack wasn't the sharpest tool in the shed. Westlake made a clear commitment to feature the pass in the third quarter to install more confidence in both the quarterback and receiving corps. Of the 23 passes, only 12 were completed, however, most of the completions came in the third quarter and by game's end, seven receivers caught at least one pass. Coaches will often remark that the sign of any good football team is defined by that team's ability to run the ball and play defense. The first three games have certainly demonstrated that the 2017 Chaparrals can run the ball. Behind the offensive line, Nakia Watson and Taylor Anderson can execute effectively whether the play ends in a two yard gain for a first down or a 78 yard touchdown run. Through the first 12 quarters, the Chaps are sporting an average of 301 rushing yards per game. Watson has capped nine scoring drives with powerful runs. Anderson has added three rushing touchdowns matching his number of touchdown passes. Defensively speaking, Westlake has only allowed three points in the last two games and Tony Salazar's defense hasn't allowed a touchdown since College Station. Six sacks and 21 tackles behind the line of scrimmage tell the story of pressure. An asset that forces opposing quarterbacks to throw before they wish and offensive coordinators to veer off course as to go around the threat. "Our defense works so hard," Senior Steven Crider said. "It's not just the work they put into practice, it's the work they put in off the field. No one watches more film than David Neil. They just know what's coming before it even happens. They're just a bunch of tough nasty dudes that want to fly to the football." Chances are, you'll hear the same sentiments from the Bowie locker room, but you'll also hear similar praise from opposing coaching staffs, especially with the Bulldog defensive backfield. "They're tough, athletic, and well coached," Defensive Coordinator Tony Salazar said. "It starts with their secondary and it's the key to why they've been successful. Those guys can cover anybody." Bowie's defense is fueled by returning starters and experienced players and their secondary has zero leash laws. Senior Josh Smythe-Macauley is the team's leading tackler. Both Smythe-Macauley and Pierce Withers are captains and corner Terance Durst has two of the team's three interceptions. That trio along with Quintavious Buckner are directly responsible for the opposition's pedestrian 74.3 average passing yards per game. The secondary's performance allows the Bulldog defensive front the ability to focus their efforts to slowing opposing rushing attacks. With 28 tackles behind the line of scrimmage, Defensive Coordinator Gary Pittman knows the value of pressure as well. Expect Bowie to put Taylor Anderson into position to throw into their secondary before he wishes to. Should Bowie force the Chaparral offense into passing situations, that's when the pressure will come. The key for Westlake will continue to be effective on first down. The goal? Five yards or more on first down plays. Bowie has endured bumps and bruises regarding personnel, but those setbacks have led to found talent at the quarterback position with the emergence of Trinidad Sanders. The six-foot-two 175-pound sophomore has played a pivotal role in Bowie's success in their first three games. He's completed nearly 59 percent of his passes and only one of those 46 passing attempts found its way into an opponent's hands. Five of Sanders' 27 completions have gone for touchdowns, but it's his athletic ability that jumps off the film. "Trin is a gifted athlete who really loves playing football," Bowie Offensive Coordinator Ty Branyon said. "While he's a great athlete and football player, he is also a tremendous kid with great character and a positive attitude." High praise from his position coach and as a former Bulldog quarterback, Branyon knows exactly how Sanders' shoes feel. While Trin's 550 yards passing is impressive, it's his 220 yards rushing that supports the Bowie rushing attack which features Kyle Carter in a starring role. Both have combined for 521 yards rushing, eight touchdowns, and no matter who gets the call to run, this duo averages 6.7 yards per carry. If there's a weakness, it's protecting the football. Sanders has fumbled the ball once in 34 carries while Carter has coughed up the ball three times in 44 rushing attempts. Westlake's 35-21 win over Bowie at Burger Stadium a year ago was a statement game for the 2016 Chaparrals. The dominant performance proved to not only Bowie, but District 25-6A that Westlake could win without Sam Ehlinger behind center. Last year's victory introduced Central Texas to the talents of Nakia Watson. He ran 32 times, gained 207 yards, and scored three touchdowns. "He's an old school football player," Tony Salazar said. "He's not like a lot of players you see today. He doesn't beat his chest or look to the stands to see who's watching him. He just hands the ball to the official like he's been there before and he knows he'll be back." Watson is quick to give credit where credit is due. "Nakia shares the love with everyone," Salazar said. "He's a quiet leader that plays hard every day. He realizes that without the guys up front, his backs, and the receivers downfield, that we wouldn't be as successful as we've been." That example of unselfish play from the one that gets most publicity travels to the rest of the roster. "We know if we do our jobs, good things are going to happen," Luke Wilkin said. "We may not get our names in the paper, but we know if we do things right, Nakia will have a chance to score on any play we run." Even running backs that share the backfield understand the attitude. "We might get a carry or two per game, but Coach Dodge always tells us about the benefit of being unselfish, Steven Crider said. "The running back room has really picked up on that attitude that the offensive line has. We have to pull the rope and it's really fun when it all works and we see Nakia break off big runs, hurdling over tacklers for a score." While honoring the rivalry between the Chaparrals and the Bulldogs, this game allows for a unique experience before district play begins. Whether it's the energy of a homecoming game, the buzz of two undefeated teams, or a sellout crowd, Bowie and Westlake will both enjoy the feel of a playoff atmosphere and continue to carve out their respective identities. Our tailgate show begins live at 7pm on AM-1300 The ZONE. Listen live to Getting Defensive with Tony Salazar. Make sure you stay tuned to our halftime coverage as we recap the first half highlights. Our halftime features the thoughts of Steven Crider, our Chap of the Week. As you leave Chaparral Stadium, let us join you on The Drive Home as we review the game, run the stats, and hand out our own helmet stickers. We hope you enjoyed our television coverage last Saturday evening on our new home for Westlake Football, KBVO-TV. Tonight's broadcast will air on Saturday, September 23rd at 7pm. Please check your provider for the correct channel. The game will also stream live at 7pm so if you wish to watch live from any device, you can. The link below will lead you to the game. Note the stream will not begin until 7pm on Saturday evening. Please share the link to as many fans as possible. Please join us this evening as the Westlake Chaparrals head north to Pflugerville. The Panthers opened their brand new home aptly named "The Pfield" against Bowie two weeks ago and the 44-12 defeat was not the open house they had planned. As Todd Dodge reminisced about last year's 35-0 win over George Herrmann's 2016 squad, he recalled coming off losing the starting quarterback, losing a game, and being a desperate team. "Some people thought that 35-0 was a blowout win," Dodge said. "Not for us. That game felt way closer than it was, because we were desperate to find out who we were." Some would say that after the 66-7 defeat of Niceville, the Chaps have a much better understanding of who they are headed into their second road game. A team averaging 322.5 rushing yards per game isn't really in the business of explaining how bread is buttered. The physical nature of the offensive line and the men who run behind it offered a glimpse of what could be in 2017. The blocking quintet of Armstrong, Wilkin, Webster, Sherhart, and Aylor provided perfect harmony that gave way for a season high 366 rushing yards against the Eagles. Watson dashed for yet another 100+ yard effort. This time the total equated to 165 yards on 18 carries. Watson secured two scores, but it was Taylor Anderson that garnered most of the attention as he enjoyed his first two rushing touchdowns of 2017. To add to a stellar home opener, the junior quarterback was on the receiving end of a touchdown pass. In a play executed on multiple occasions between Reed Klubnik and Sam Ehlinger, the scheme was simple. While the principle offensive unit took their normal positions, the center snapped the ball to an eager running back. Said running back would execute a toss to a streaking wide receiver who would then look downfield for the open receiver. The intended receiver? The quarterback. In this instance, the direct snap was taken by Watson who then tossed to Izaiah Faz who rolled right and found Anderson in the corner of the end zone. Anderson threw for 159 yards and a touchdown in addition to his rushing and receiving efforts. Pflugerville is a tale of two teams as the 44-12 season opening loss to Bowie proved that there was work to do. The next week, the Panthers headed northwest to Leander and after trailing 10-6 at the half, Pflugerville erupted with 21 unanswered points in the third quarter. Running back IK Evbayiro capped the quarter's first scoring drive with a one yard touchdown run. The Panther defense forced Leander to punt in back-to-back possessions and both drives ended in scores. The first went by way of a Damon Tamez pass to Taye McWilliams while the second came courtesy of an Evbayiro 28 yard run. Lost in the 21 3rd quarter points is the Pflugerville defense who held the Lions in check in the second half allowing only a field goal. With the first win secured, the Panthers return to the newly constructed "Pfield" with a bit more confidence. Todd Dodge is always aware of talent other teams boast. "There is not one coach in the state who wouldn't want Casey Washington in their receiving corps," Dodge said. "He's great out of routes and has great body control." Washington's 184 yards receiving on 13 receptions in just two games also has Tony Salazar's attention. Westlake saw improvement in the secondary from game one to game two, but Washington will be a challenge in one-on-one match ups. While the Wing-T might be the roots of the Pflugerville program, the offense under Jeff Rogers has morphed into a spread attack. That said, expect Pflugerville to occasionally remember their predecessors and drift into a Wing-T formation to catch the Westlake run defense off guard. Guiding the offensive attack is strong armed quarterback Damon Tamez. "Damon can throw it to any spot on the field," Dodge said. "He's got a strong arm, but his accuracy has come a long way." Accuracy and the strong arm behind it could allow for Pflugerville to hit Westlake hard with explosive plays early. Tamez's accuracy has also led to a successful short and quick passing game designed to carve up the field and beat pressure. Look for Westlake's defense to answer for not only Washington on the outside, but also IK Evbayiro, Taye McWilliams, and Kevin Tyler. All three can run the football out of the backfield or line up as wide receivers. Our tailgate show begins live at 7pm on SPORTSTALK AM-1300 The ZONE. Listen live to No Huddle with Todd Dodge. Stay tuned to our halftime coverage for a recap of the first half highlights along with this week's Chap of the Week interview. For Android listeners, the new version of the Westlake Chap App hit the Google Play Store this morning. Download it now! We will provide an in-stadium FM frequency for fans that bring their FM radios with them to The Pfield. Get behind the scenes action live on the Chap Signal. We will update our audience via our social media sites with the frequency. Bring your radio and hear the Chap Signal. We hope you enjoyed our television coverage on Sunday evening on our new home for Westlake Football, KBVO-TV. Tonight's broadcast will air on Saturday, September 16th at 7pm. Please check your provider for the correct channel. The game will also stream live at 7pm so if you wish to watch live from any device, you can. The link below will lead you to the game. Note the stream will not begin until 7pm on Saturday evening. Please share the link to as many fans as possible.